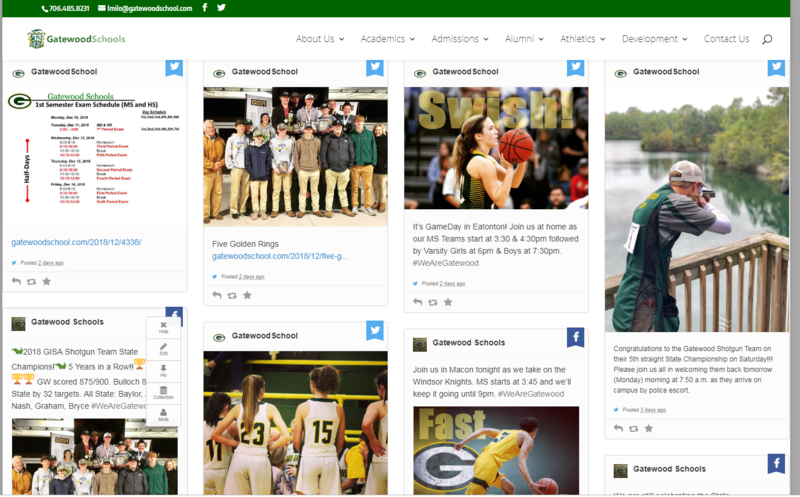 Let’s Get Social | Gatewood Schools, Inc. In an effort to better communicate with our friends and family we are officially launching a presence on two new social media platforms. Our Facebook presence has been a successful way to promote our school and all of the great things we offer to our students and our community. Now we will also be posting regularly on Instagram and Twitter to reach a larger audience. Our Facebook page currently has over 1200 followers and averages over 20,000 views and engagements per month. We are launching additional social platforms to reach a younger audience since our Facebook demographic is heavily weighted in the female from 35-54 age range category. We have also recruited our Yearbook class to help maintain and manage our social media presence in an effort to include the younger demographics. You can help too! Anytime you see a post from us please take a half a second and like and share it with all of your social media friends as well. This very small task makes a HUGE difference in the analytics of how many people are reached. Each share, like and comment allows the information in the post to increase exponentially in the number of people who actually get to see the information on their accounts. If you are on social media please like and follow us today. In case you have family and friends who are not social media savvy, simply have them visit our website and scroll down past the blog posts. All of our social media feeds are right there on our social wall. You can see all the posts without having to log into each one to view.